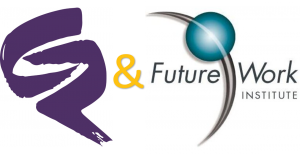 June 18, 2015 – Cook Ross (CR) and The FutureWork Institute (FWI) have entered into a strategic alliance in service of expanding their transformative work. As pioneers in the fields of diversity, inclusion, and innovation, Cook Ross and The FutureWork Institute are excited to announce that working together will increase their capacity for consulting and in-person and virtual learning solutions. Cook Ross and The FutureWork Institute share the same philosophy and vision for the future of Diversity & Inclusion as a transformational, whole systems change driver for inclusion and innovation,” said Margaret Regan, President & CEO of FWI. “Given the global reach of both firms, we are convinced that the time is now for us to come together to accelerate this transformation for our clients and our profession,” she added. Expanding beyond Diversity & Inclusion to the roots of both firms in Organization Development, Human Resources, and Change Management. Between the two companies, the alliance has offices in New York, Washington, D.C., Miami, and Los Angeles, with consultants stationed on five continents.